We're going to the Motorhome & Caravan Show 2017! Get the first look at our brand new caravan and drive away awning range for 2018 at the Motorhome & Caravan Show 2017! 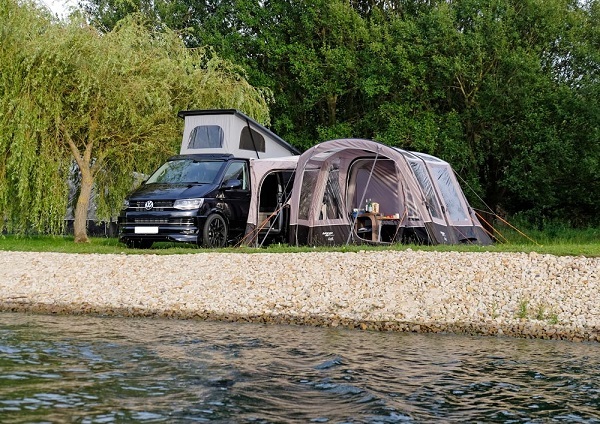 We are so excited to introduce some new awnings to the Vango range, and also highlight the new features we have added to our existing collection. As always, the Motorhome & Caravan Show will be held at the NEC in Birmingham, B40 1NT and will be open from Tuesday 17th October to Sunday 22nd October. The show will open at 10:00 am and close at 18:00 pm throughout the week, giving you plenty of time to make it around the show and take a good look at the new Vango awnings for 2018! 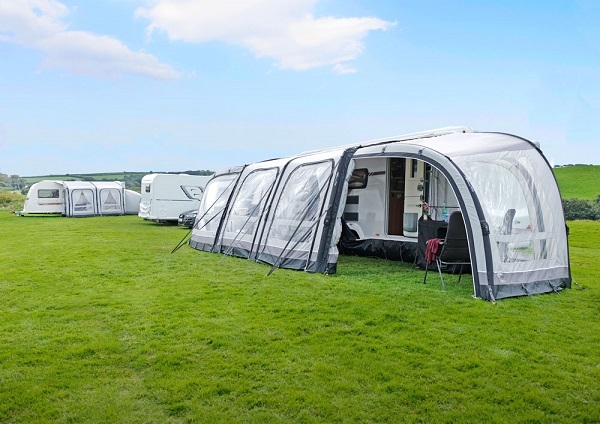 We are getting bigger and better at the show this year, with not one but two awning stands, ensuring experience any of our new air awnings whatever day you decide to pop along. If you have a campervan, motorhome you will find our full drive away collection at Stand 17.32, from our brand new AirHub Hexaway and Galli Compact to long-standing Kela and Idris! The Vango AirHub Hexaway offers a more relaxed environment by providing a gazebo-like structure for gatherings with friends and family, whereas the Galli Compact has been developed from the Galli but in a more compact size. Alternatively, if you are a caravaner and looking for a luxurious addition to your vehicle, our collection of caravan awnings will be on display at Stand 17.36. For 2018, we have introduced the Varkala Connect, a development on the Varkala model, yet offering the ability to add on a left or right-hand extension, and annex for additional living space, storage and sleeping areas! If you don't make it to hall 17, visit our stand (109) in hall 12 to see our new air awnings including the new Airhub Hexaway, and Varkala Connect. Plus favourites from the collection like the Galli, and Kalari! You can find out more about the brand new caravan and drive away awnings in our recent blog, however, if you want to see the collection in person, the Motorhome and Caravan Show is a must! Not only will we be showcasing our new collections, we are also hosting the very popular AirBeam® Challenge to give you a chance to win £500 worth of Vango vouchers! 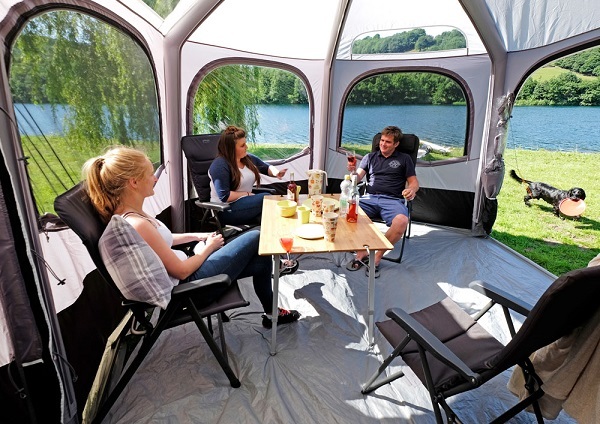 If you aren't aware of the competition, you simply have to pump up the awning Airbeams® as fast as you can to be in with the chance of winning, so why not come along and have a go!